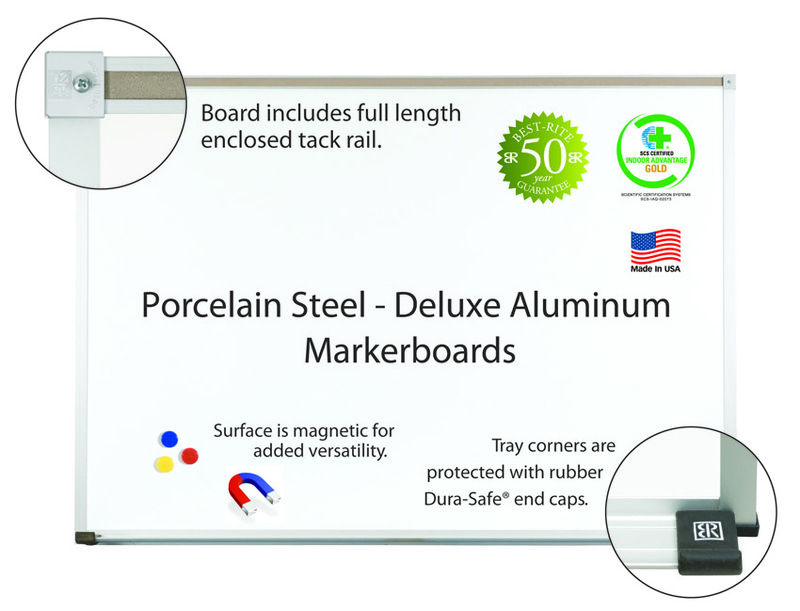 With this magnetic porcelain steel markerboard, your space will be transformed. The sleek ½” profile is ideal for everything from offices to classrooms to conference spaces. 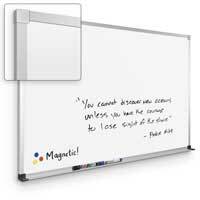 When you need a whiteboard but you don’t want something that’s big and bulky, this product has you covered. 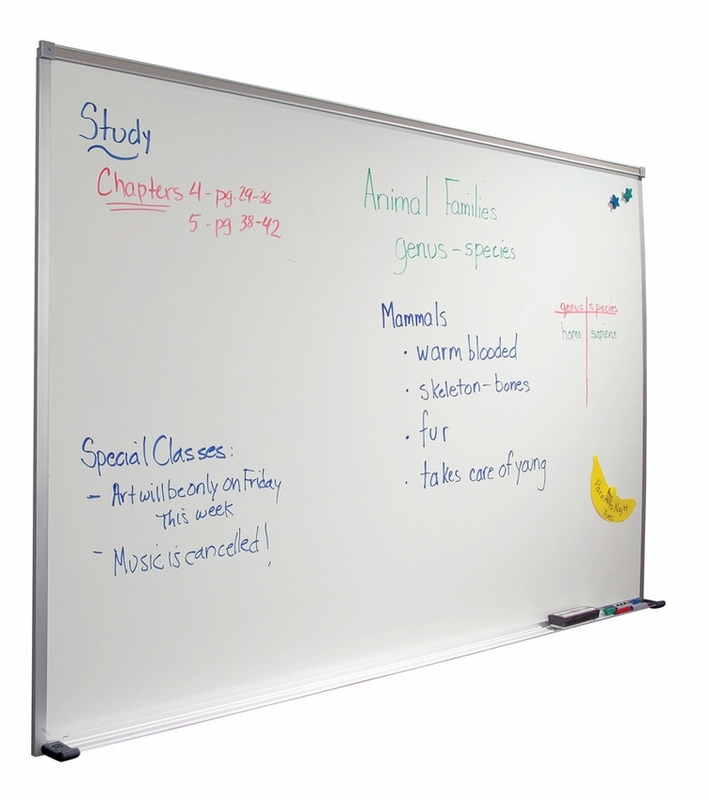 Available in a range of sizes, our magnetic ½” porcelain steel dry erase board is priced economically despite its amazing 50-year guarantee. 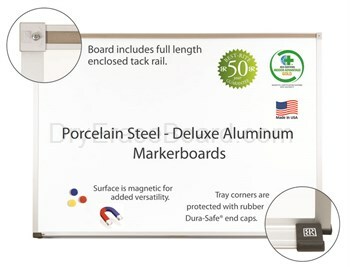 That means this magnetic marker board will still look great decades from now, with no dents, scratches or stains left behind. 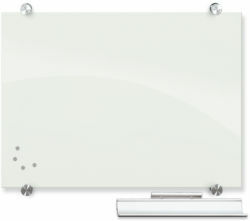 This dry erase board comes highly recommended by industry experts. 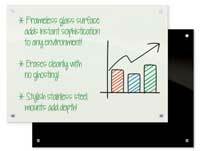 Porcelain on steel whiteboards are the most durable option available today, making them a hit in high-use environments. The marker board surface is engineered to make colors pop, which makes the display easy to read. 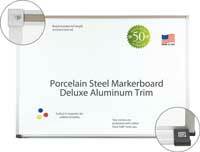 Meanwhile, the board’s porcelain steel surface provides a standard gloss display that helps to reduce eye strain. This combination is essential for situations where the board is in use for long periods of time. From high school classrooms to military headquarters to training facilities, this is a board that can withstand heavy use while also being easy on viewers„1¤7 eyes. 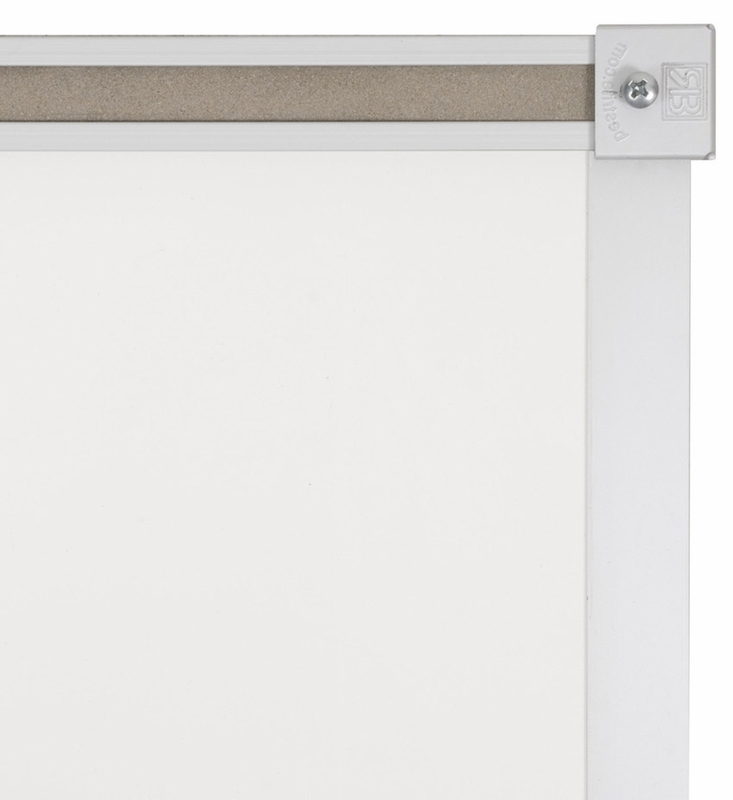 This American-made porcelain white board is Class A fire-rated, TAA compliant and GREENGUARD GOLD certified. In addition, the porcelain steel surface is adhered to a medium density fiberboard (MDF) for greater stability. 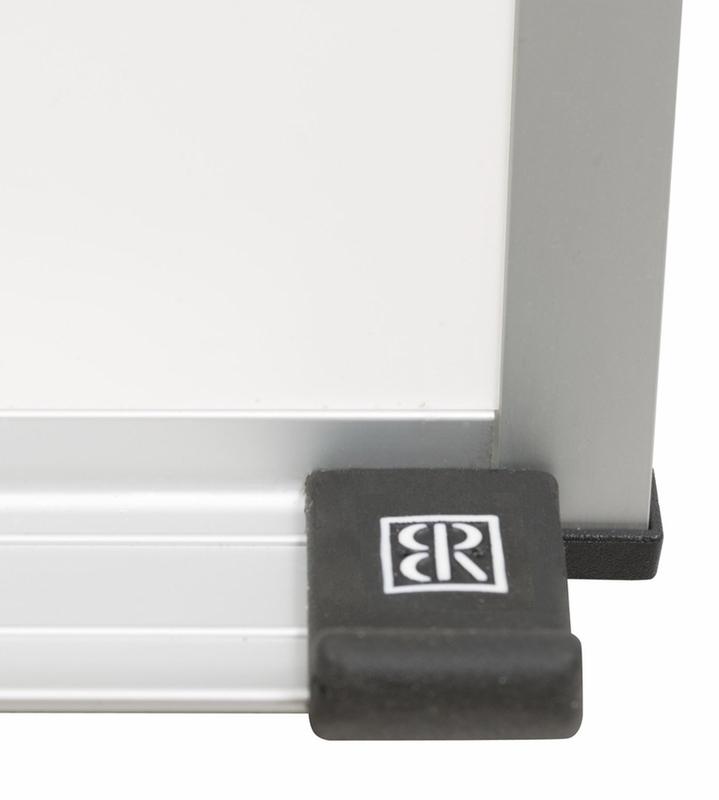 The aluminum frame protects the white board, while a tray with rubber corners provides a convenient space for markers and erasers. The board also features a map rail with a tackable natural cork insert. 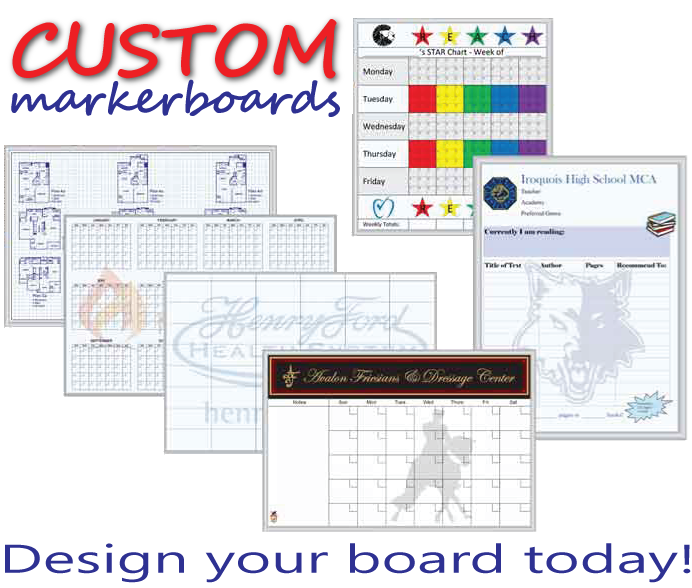 Get this board for your space by ordering online today at DryEraseBoard.com. Steel adhered to substrate for greater permanent durability. Peace of mind with partial TAA compliance, a 50 year guarantee, and GREENGUARD Gold certification. Other Info: Made in USA. Greenguard Certified. 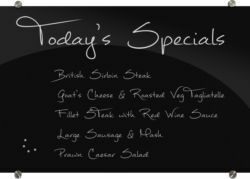 We ordered 4 of these board. Had a good experience. Customer service was excellent. Boards arrived quickly. We would purchase again. We received our board about a week ago and it is more than expected. Great quality. We also liked the ongoing communication during the process. We will definitely purchase again in the future. Excellent board excellent quality Will defiantly purchase from here in future.